Gallery / Saga Press, 9781481444262, 432pp. In Argentine Antarctica, Eliana Gomez is the only female PI in Hope City—a domed colony dependent on electricity (and maintenance robots) for heat, light, and survival in the icy deserts of the continent. At the center is an old amusement park—now home only to the androids once programmed to entertain—but Hope City’s days as a tourist destination are long over. Now the City produces atomic power for the mainland while local factions agitate for independence and a local mobster, Ignacio Cabrera, runs a brisk black-market trade in illegally imported food. From the inner workings of the mob to the story of a revolution to the amazing settings, this story has got it all. 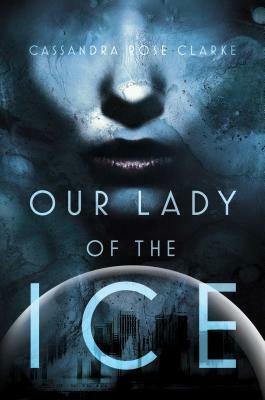 Ultimately, however, Our Lady of the Ice questions what it means to be human, what it means to be free, and whether we’re ever able to transcend our pasts and our programming to find true independence. "The novel's worldbuilding is phenomenal...its female characters are particularly well-rendered...An ambitious novel set in a richly imagined world."